Staying in shape, helping others, and being the best “me” possible all inspire me to train. Martial arts changed my life drastically, without a doubt it helped me focus on one objective, which was earning my black belt when I first started training. 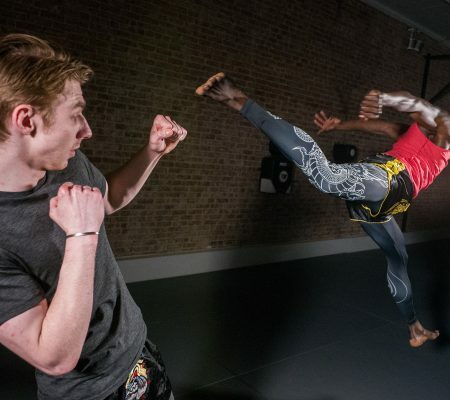 Martial arts gave confidence, focus, and most importantly, kept me on the straight and narrow growing up in the city surrounded by so many temptations. Helping others grow and realize their full potential has always made me want to teach. I remember growing up and my teachers would always ask me to help students who were struggling with whatever was being taught in class. It wasn’t too long ago that I wasn’t even aware if my own potential and ever since I’ve realized what I’m capable of, my life has been so much better. The thought of being able to do that for another person is a blessing. Growing up, I had to watch whatever my dad was watching on TV. Often times, he’d have an old movie on, and one of the same movie that he watched over and over again was Rocky. And Rocky is how I discovered martial arts, I’ve seen each of them dozens, if not hundreds of times. My first experience training was at a boxing gym in my neighborhood when I was about 12 years old, two years later I found Anderson’s and have been here ever since. Signing up at Anderson’s was actually a gift from my parents on my 15th birthday, guess I can say it’s the gift that keeps giving. My single defining character in training is my consistency, you’ll see me in the gym six days a week, a couple of hours each day. You’ll catch me at the gym more often than anyone else. 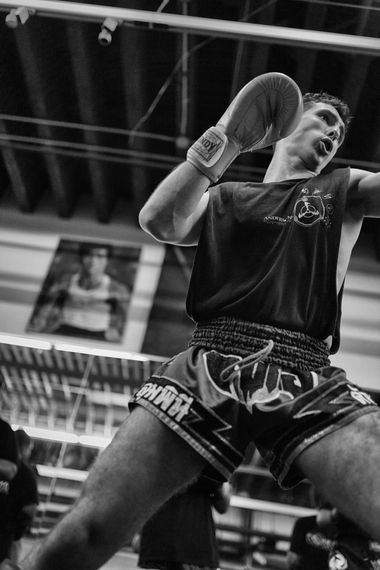 My biggest obstacle in martial arts was definitely my mental game. I always had all the physical tools but I often lacked confidence and was scared to let go of all fears inside and outside of the ring. With the help of all my instructors, in particular, Sifu Anderson, I overcame all doubts I once had, and am now stronger than ever. My playlist is definitely the most recognizable in the school. You’ll hear a ton of reggae, in particular, Vybz Kartel, a ton of bachata, along with Meek Mill, Fetty, Drake, French Montana, Biggie, Future, and about half of the Rocky soundtrack. 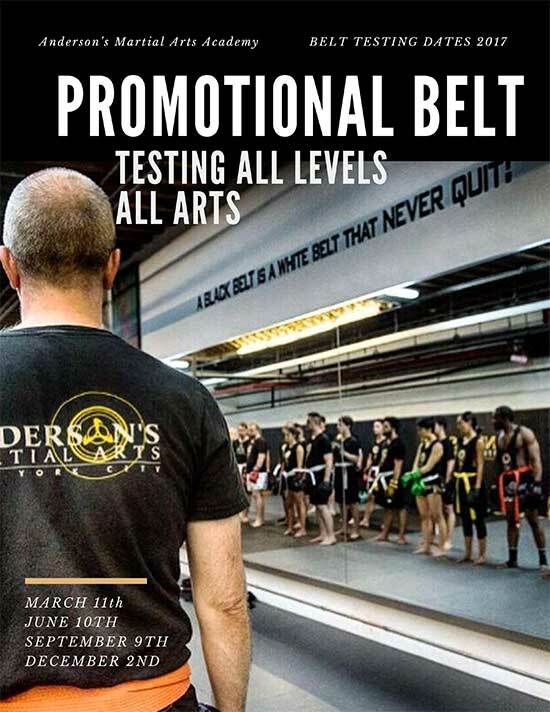 You’ll often find me teaching kids’ classes throughout the week and Saturday Muay Thai. Aside from that I may also cover Jeet Kune Do 1, boxing, and weapons from time to time. 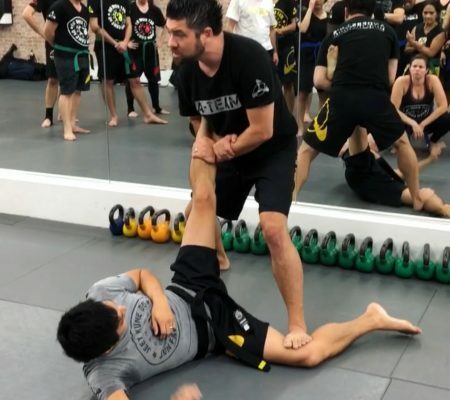 As far as training goes, you can see me in any class at AMA, whether it’s BJJ with or without the gi, Jeet Kune Do 2 & 3, Muay Thai, Boxing, or Weapons. As far as a go to move is concerned I always like to stick to my boxing. 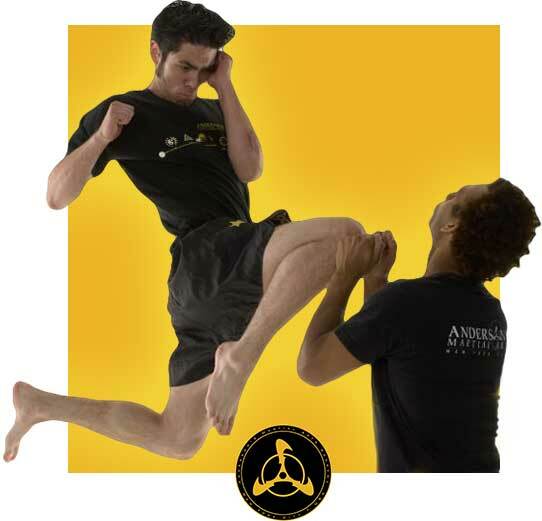 However, I love to kick that lead leg and footjab the face too! 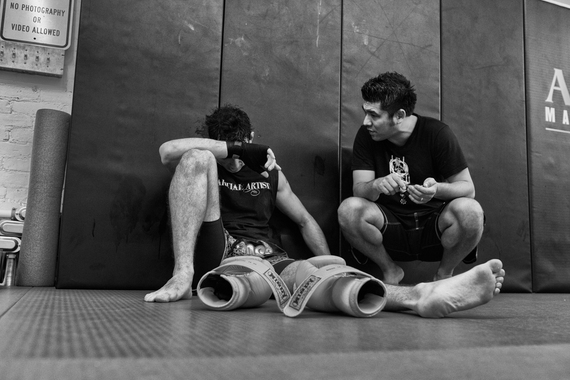 At the end of the day, I depend on my adaptability to get me through any sort of training, sparring, or fight. I always make sure that I get my classes, intros, and private lessons done before it’s time for me to train. Once in a blue someone is out so my workload may increase, when that happens, I make sure to at least get in some shadow boxing in my room back at home, 10×3 rounds, with 10-15 push ups in between each round, finishing with abs is usually my home workout. Martial arts has put me in amazing shape and has given me the groundwork to live healthy for the rest of my life. Luckily, I found martial arts as a teenager. With such an extensive background in martial arts I always feel like I’m in complete control of my body. As I mentioned earlier, with the help of my instructors, and Sifu Anderson, my confidence has reached new heights. You should always make it to my classes because they’re fun and we always train hard! I answer all questions, make sure everyone is getting their work in, I always give through explanations as to what we’re doing and why we’re doing it!